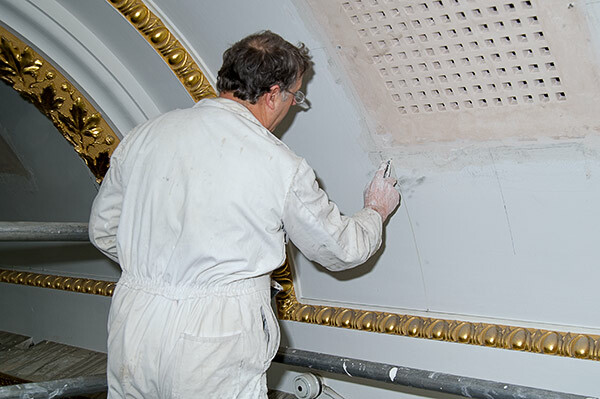 Over a period of four years, Sykes & Son Limited partnered with the Royal Academy of Arts on a series of major projects to enhance their Burlington House estate. Sykes were involved in 6 major projects to install humidity and cooling plant to service different gallery spaces and the library and print rooms. The project aims were to reduce energy consumption, increase sustainability and improve the environmental conditions of these spaces, all within the constraints of operating an art gallery in a Grade 2* listed property. All new plant is linked with the Academy’s BMS system. This allows accurate monitoring of environmental conditions within the galleries. The closely controlled environments create ideal conditions for the conservation of the Academy’s collections and has significantly reduced energy usage. On each project, Sykes provided costing and buildability support to the design team, several months ahead of commencement. 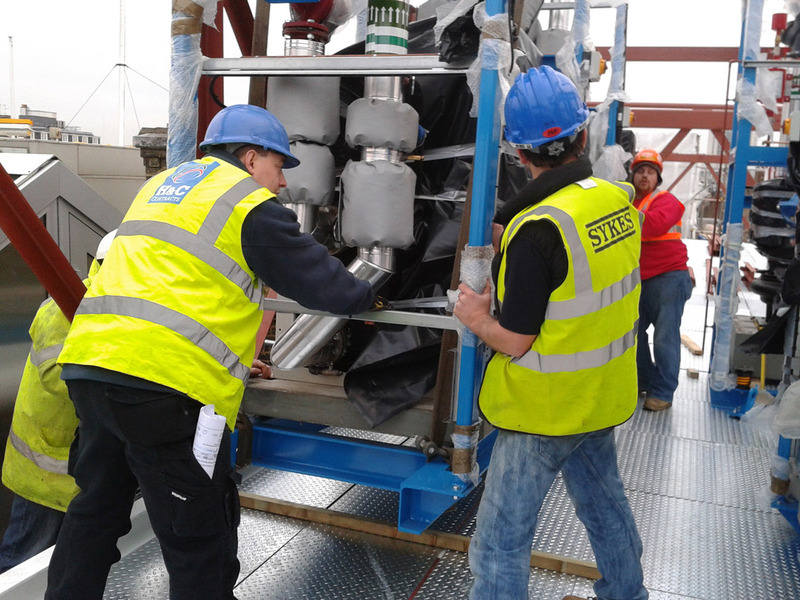 All works were carefully programmed around exhibitions and events with pre-fabrication of the plant pods completed off-site to minimise noise and disruption. Due to the delicate nature of the Galleries and their artefacts and artwork, shutdowns in particular needed close management. 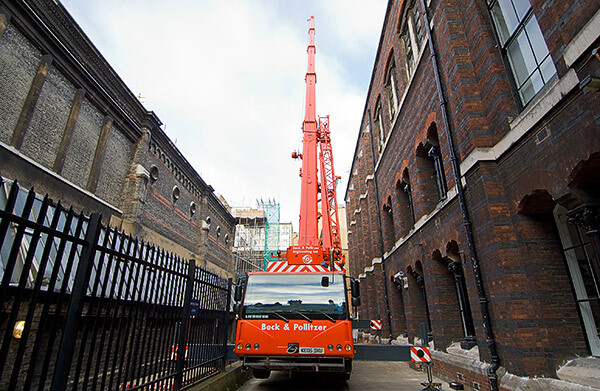 At a total value of £2.5m, the Sackler project was the largest and most complex of the six projects. The initial enabling phase involved a complex arrangement of box gutter diversions to allow the rooms to be opened up for the foundations to be constructed ready for the construction phase. 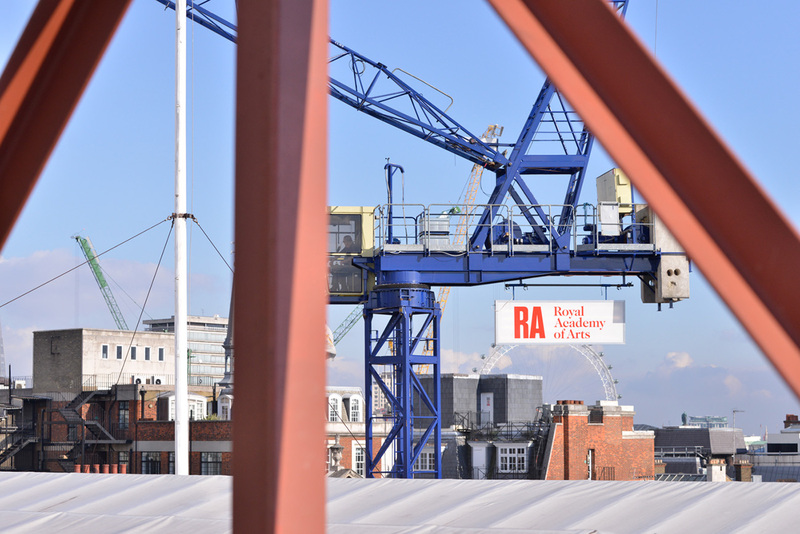 The main construction phase involved the installation of a 30m plant pod onto the roof to improve environmental conditions to the Sackler wing.